The Lakeshore Law Center represents consumers and small businesses against large corporations and powerful business interests in civil litigation and all sorts of individuals or businesses in civil and criminal appeals. Consumer and Employment Law Practice Founded in 1992 by U. C. Berkeley (Boalt Law School) graduate Jeffrey Wilens, the Law Center has successfully prosecuted numerous class and individual actions against creditors, automobile dealerships, lending institutions, timeshare marketers, and other businesses for consumer fraud, false advertising, unfair business practices, credit reporting and debt collection violations. Typically, Mr. Wilens will represent the consumer in his or her dispute with the business for a small or no initial fee, and will thereafter pursue litigation as necessary on a contingency fee basis. If the consumer is successful, he or she will usually be reimbursed for any initial legal fees. 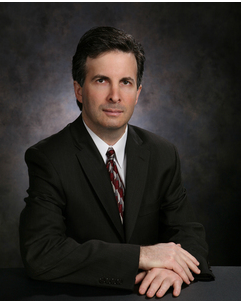 Appellate Law Practice Jeffrey Wilens has represented criminal or civil parties in appellate and writ proceedings since 1986. He is one of a handful of California lawyers to have been certified by the California State Board of Legal Specialization in two fields: -Appellate Law (1999-2009) -Criminal Law (1994-2004) As of December 2002, there were only 201 attorneys in California certified as specialists in appellate law and 356 attorneys certified in criminal law out of more than 100,000 attorneys. Mr. Wilens is licensed to appear before the United States Supreme Court, the Ninth Circuit Court of Appeals, four federal districts courts and all California State courts. He can ably represent plaintiffs or defendants in any court in the country. Mr. Wilens has numerous published cases to his credit, including the following: Hernandez v. Vitamin Shoppe Industries (2009) 174 Cal.App.4th 1441; Mark v. Spencer (2008) 166 Cal.App.4th 219; Rose v. Chase Bank USA, N.A. (9th Cir. 2008) 513 F.3d 1032; Ortiz v. Lyon Management Group (2007) 157 Cal.App.4th 604; Trujillo v. First American Registry, Inc. (2007) 157 Cal.App.4th 628; Schulz v. Neovi Data Corp. (2007) 152 Cal.App.4th 86; Freeman v. DirecTV, Inc. (9th Cir. 2006) 457 F.3d 1001; Experian Information Solutions, Inc. v. Superior Court (2006) 138 Cal.App.4th 122; Jones v. Citigroup, Inc. (2006) 135 Cal.App.4th 1491, review granted; Wolski v. Fremont Investment & Loan (2005) 127 Cal.App.4th 347; Morris v. Redwood Empire Bancorp (2005) 128 Cal.App.4th 1305; Blanchard v. Directv, Inc. (2004); 123 Cal.App.4th 903; Janik v. Rudy, Exelrod & Zieff (2004) 119 Cal.App.4th 930; Ansley v. Ameriquest Mortgage Co. (9th Cir. 2003) 340 F.3d 858; Decker v. U.D. Registry (2003) 105 Cal.App.4th 1382; People v. Bau Mooc (2002) 26 Cal.4th 1216; Chavez v. Whirlpool Corp. (2001) 93 Cal.App. 4th 363; County of Orange v. Wu (2000) 79 Cal. App. 4th 759; Nelson v. City of Irvine (9th Cir. 1998) 143 F.3d 1196. Founded in 1992 by U. C. Berkeley (Boalt Law School) graduate Jeffrey Wilens, the Law Center has successfully prosecuted numerous class and individual actions against creditors, automobile dealerships, lending institutions, timeshare marketers, and other businesses for consumer fraud, false advertising, unfair business practices, credit reporting and debt collection violations. Typically, Mr. Wilens will represent the consumer in his or her dispute with the business for a small or no initial fee, and will thereafter pursue litigation as necessary on a contingency fee basis. If the consumer is successful, he or she will usually be reimbursed for any initial legal fees. Admitted: 1985, California; 1990, U.S. District Court, Eastern District of California; 1991, U.S. Supreme Court; 1994, U.S. District Court, Central District of California; 1996, U.S. Court of Appeals, Ninth Circuit; 2003, U.S. District Court, Southern District of California; 2004, U.S. District Court, District of Colorado; 2012, U.S. District Court, Northern District of California. Cases: Demeter v. Taxi Computer Services, Inc. (2018) 21 Cal.App.5th 903; Derderian v. Southwestern & Pacific Specialty Finance, Inc. (9th Cir. 2016) 673 Fed.Appx. 736; Hansen v. California Suites Hotel (Cal. Ct. App., Dec. 22, 2016, No. D069562) 2016 WL 7406427; Cu Phan v. United Law Group, Inc. (Cal. Ct. App., June 23, 2011, No. G044182) 2011 WL 2519213; Maloney v. Verizon Internet Services, Inc. (9th Cir. 2011) 413 Fed.Appx. 997; Cu Phan v. Rutledge (Cal. Ct. App., Sept. 10, 2010, No. G042983) 2010 WL 3518153; Hernandez v. Vitamin Shoppe Industries, Inc. (2009) 174 Cal.App.4th 1441; Mark v. Spencer (2008) 166 Cal.App.4th 219; Rose v. Chase Bank USA, N.A. (9th Cir. 2008) 513 F.3d 1032; Ortiz v. Lyon Management Group (2007) 157 Cal.App.4th 604; Trujillo v. First American Registry, Inc. (2007) 157 Cal.App.4th 628; Schulz v. Neovi Data Corp. (2007) 152 Cal.App.4th 86; Freeman v. DirecTV, Inc. (9th Cir. 2006) 457 F.3d 1001; Experian Information Solutions, Inc. v. Superior Court (2006) 138 Cal.App.4th 122; Jones v. Citigroup, Inc. (2006) 135 Cal.App.4th 1491, review granted; Wolski v. Fremont Investment & Loan (2005) 127 Cal.App.4th 347; Morris v. Redwood Empire Bancorp (2005) 128 Cal.App.4th 1305; Blanchard v. Directv, Inc. (2004); 123 Cal.App.4th 903; Janik v. Rudy, Exelrod & Zieff (2004) 119 Cal.App.4th 930; Ansley v. Ameriquest Mortgage Co. (9th Cir. 2003) 340 F.3d 858; Decker v. U.D. Registry (2003) 105 Cal.App.4th 1382; People v. Bau Mooc (2002) 26 Cal.4th 1216; Chavez v. Whirlpool Corp. (2001) 93 Cal.App. 4th 363; County of Orange v. Wu (2000) 79 Cal. App. 4th 759; Nelson v. City of Irvine (9th Cir. 1998) 143 F.3d 1196.